Goooooooood Morning! Er... umm... day. Or night. Or whatever time of day it is in your part of the world. Today I have a treat for you! I have some really cool sponsors who also happen to be really generous. This giveaway will have four winners. Enter via the Rafflecopter form below! Lacy is giving away some Kerastase hair product. 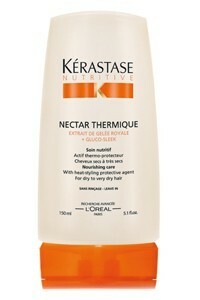 It protects hair from the harmful effects of heat-styling tools. Nourishes, softens and moisturizes hair. Gives hair optimal shine from roots to ends. Improves hair straightening and drying performance. This is a $40 value! If you want to win this product, you MUST be following Lacy's blog. Kassi is giving away a BRAND NEW Enchanted Mist Hand Cream from the new Layers by Scentsy line! 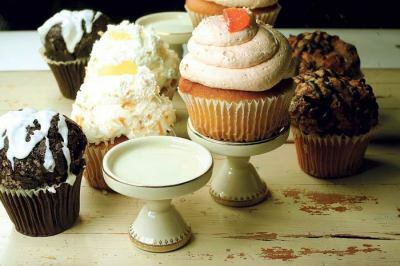 Anna is giving away these adorable cupcake stands from Victorian Trading Co. This is a $40 value! Erin is giving away a free blog or etsy shop header! So. Those are some awesome prizes from some pretty amazing ladies, and I'm thinking that you should probably definitely get to clicking on both their blogs and that Rafflecopter form down there! This is awesome. just fabulous and awesome! I NEED THE HEAT PROTECTANT. No really I do. Yay Alyx!! This is a fun little giveaway!! Thanks for including me!! Good luck everyone!! Love story letters body lotion! those cake stands are amazing!! what a fun giveaway :) thanks for hosting it! I use that hair product...it ROCKS! I love the quiver layers body cream. I bet it smells so good! Fun, fun!!! I entered assuming I might be able to snag those other two prizes... ;) Thanks Alyx!!! My hair needs that Kerastase something fierce. I would love to try the coconut lemongrass shower gel!